Adding to an already versatile line of digital print solutions, Duplo’s Integrated Folding System (IFS) achieves the next level in automation. The IFS eliminates the need for a separate paper folding machine and enables users to not only slit/cut/crease with the DC-746 and DC-646, or slit/perforate/crease with the DC-445, but also fold digitally-printed applications in a single pass using one system. By performing the functions of multiple machines, the system removes the bottleneck of the finishing process that occurs when setting up jobs separately. 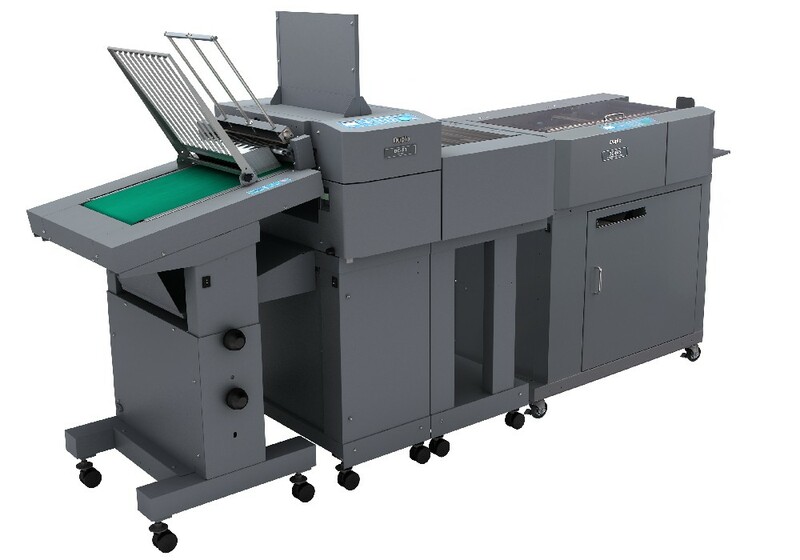 The Duplo DC-746/646 IFS has a unique capability that no other system has which is to slit, cut, crease, and fold multiple-up pieces simultaneously in one pass. Using two knife blades, the IFS can perform the most common folds including single, letter, Z, gate, and double parallel along with an infinite number of custom folds. Copyright 2016 Ultimate Print Finishing. All Rights Reserved.